Introducing our boheman styled Teepee wrapped with aesthetic spandex lace. A white faux fur rug along with two free spirit pillows are included with this heart worming package. Bohemian weddings are perfect for the bride who wants something romantic, laid-back, ethereal, and non-traditional. 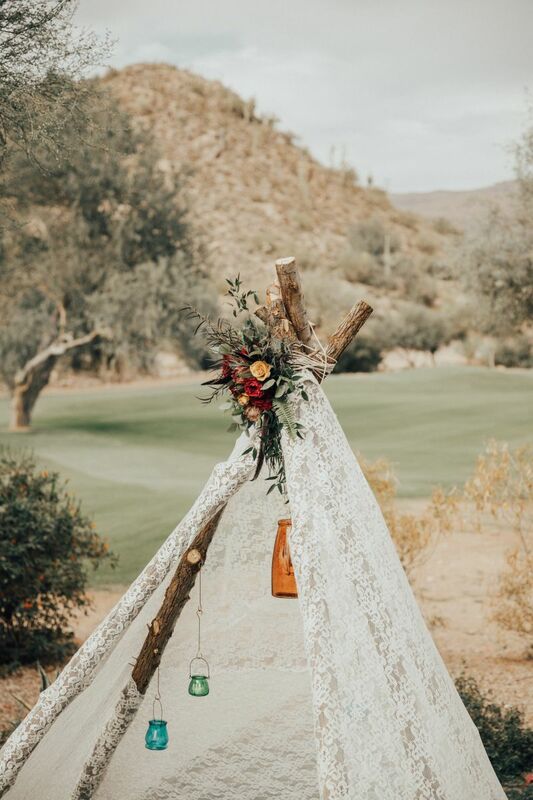 This Teepee incorporate an eclectic mix of natural, rustic, and a retro feel to that special day. This item stands at 10 feet tall and is 6 feet in diameter at the base. 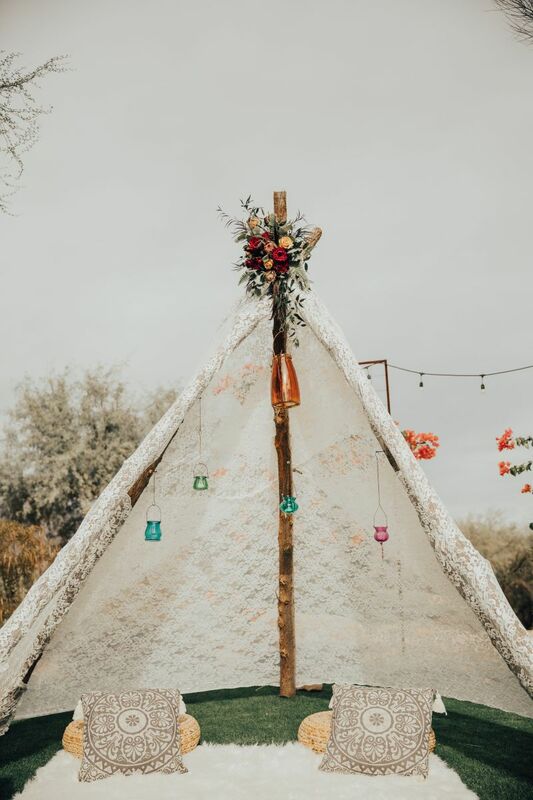 If you're looking to have a Bohemian-themed wedding, than this Teepee is a MUST HAVE! The Teepee does not include the florals or the colored vases. Question: Does the Teepee come with the rug and two pillows that are shown in the picture? Question: What are the demension of the Teepee? Answer: The Teepee Stand at 10 feet high and is 6 feet in diameter at the base. Question: Do the delivery guys set up the Teepee upon arrival of my event? 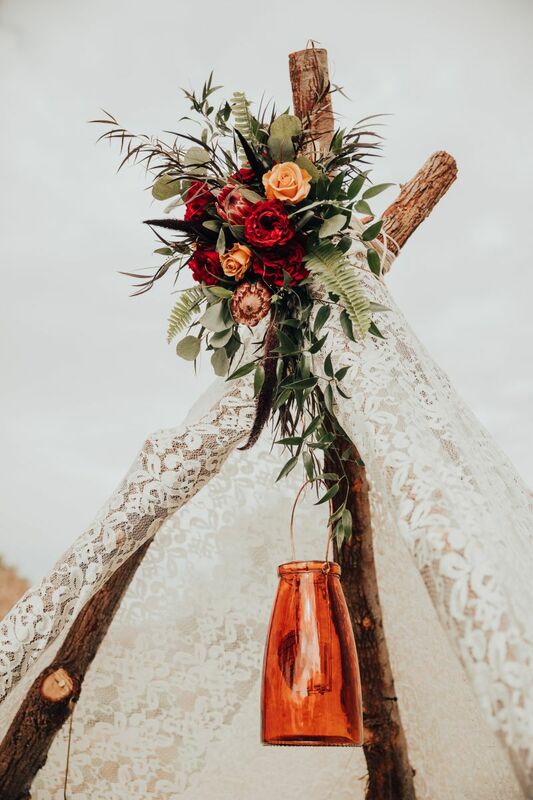 Question: Does the Teepee come with the florals or colored vases shown in the picture?